Beautiful Muriwai Venue for your special occasion photos. Located 9 km's from Muriwai Beach, our rural venue is perfect for wedding, engagement, and family photo shoots. 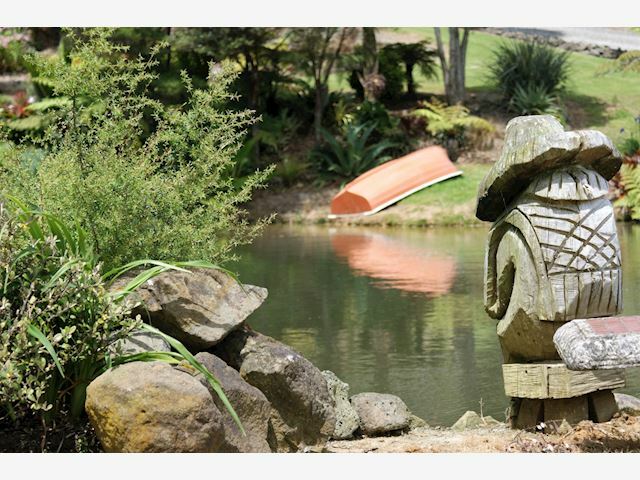 We are situated in Muriwai Valley on a 10 acre farm set in a stunning back drop of fabulous rolling countryside and a 5 minute drive from the renowned Gannet Colony at Muriwai Beach. Our venue is gorgeous in summer time and evening for sunsets. An avid gardener, Liane has transformed the gentle contour of bare farmland to create a mini lake that is surrounded by an intriguing, beautiful large garden incorporating plantings of native trees, palms, a huge variety of shrubs, bromeliads and perennials. Please get in touch with Liane to discuss to your individual requirements.